Again, as is the case with these, no one was injured and while the car took some damage, it’s nothing that can’t be repaired. Say what you will about “auto safety regulations” but I’ve seen enough of these accidents to know that you can get in one and your likelihood of dying has been considerably reduced, due to auto design. The N didn’t take any damage beyond cosmetic damage. 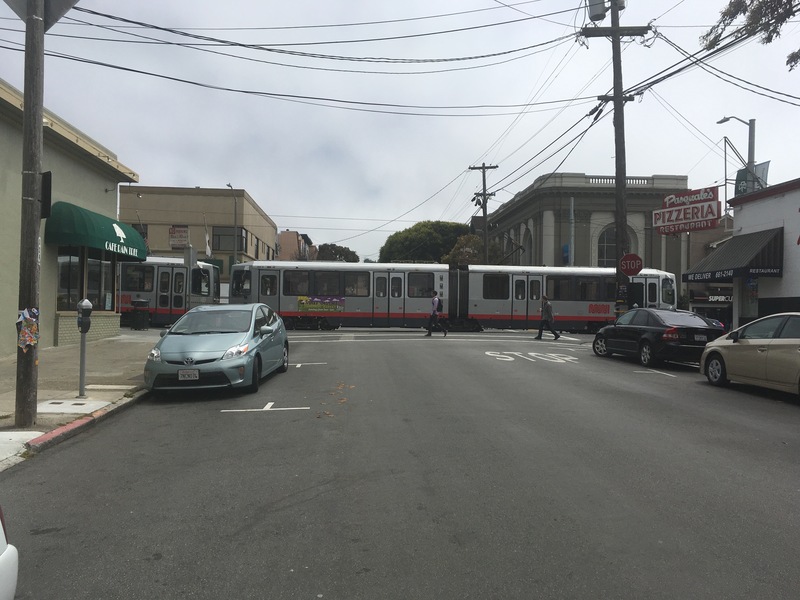 There’s really not a lot Muni or the SFMTA can do to “prevent” this – the accident wasn’t their fault, and there’s really no way to prevent someone from making a move in front of an LRV that’s Not Smart, regardless of signs, common sense, lights and so on. Regardless, it had a ripple effect that lasted for several hours. Compounding this was the fact that there was really no way to tell people downtown, or along the line in either direction what was happening or for how long the delay would last. 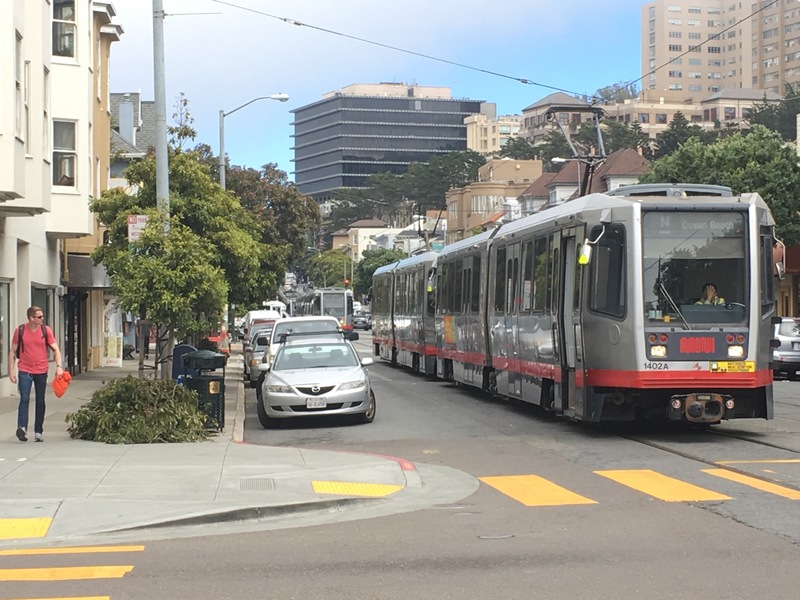 The SFMTA did tweet the incident and updates, but not everyone has Twitter or uses it all day, and none of that matters if you’re out doing your thing and then suddenly you have to switch to a bus at Duboce/Church without any warning, etc. Even under the best of circumstances, a lot of people in these situations are going to be left wondering WTF is happening, and I’m not sure that “apps” would be the solution here. Anyway, another day on the N. I did get some good comics today, making up for the fact I’m not going to the San Diego Comic Convention this year. I’ll be posting some thoughts on the cornucopia of political silliness affecting transit riders coming from the Board of “Supervisors” later on. Until then, be safe out there! 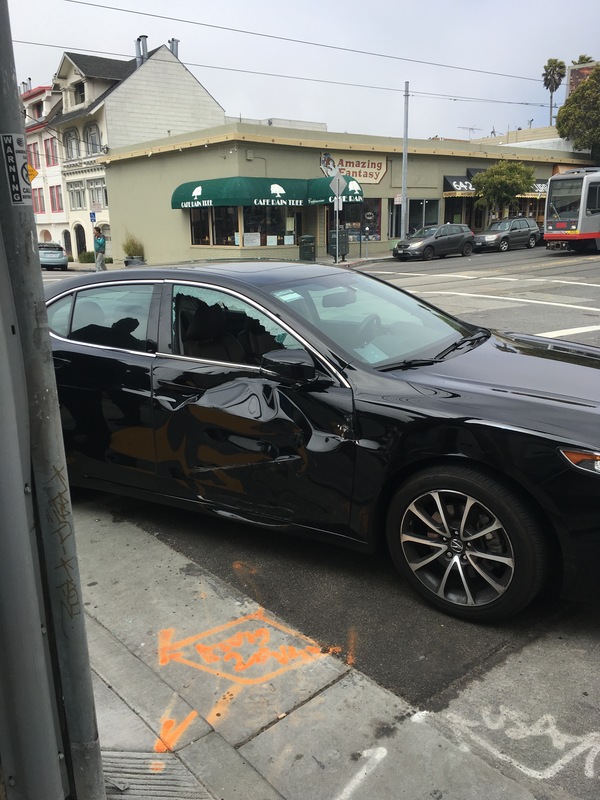 This entry was posted in MUNI Day To Day, N Judah News and tagged accident, irvingstreet, njudah, uber, wtf. Bookmark the permalink.